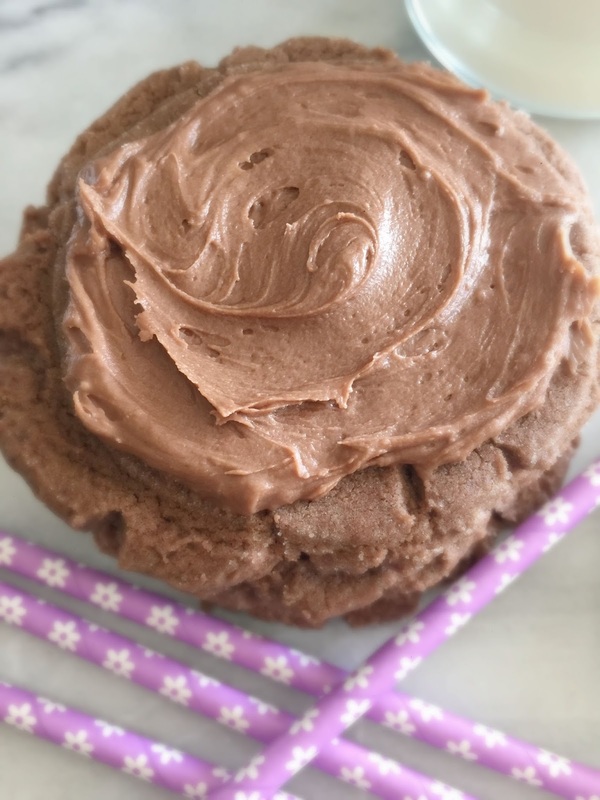 try making a copy cat recipe. at room temperature, maybe better. Here they are, just waiting for their frosting to finish them off. girl that believes frosting makes everything better. the paddle of your mixer. It will be a pretty dry mixture. nice and big. Place the balls on a parchment lined cookie sheet. glass into the sugar and press the cookie down. to a cooling rack without breaking them. When cool, frost. Makes about 18 large cookies. whip together, using the whisk. 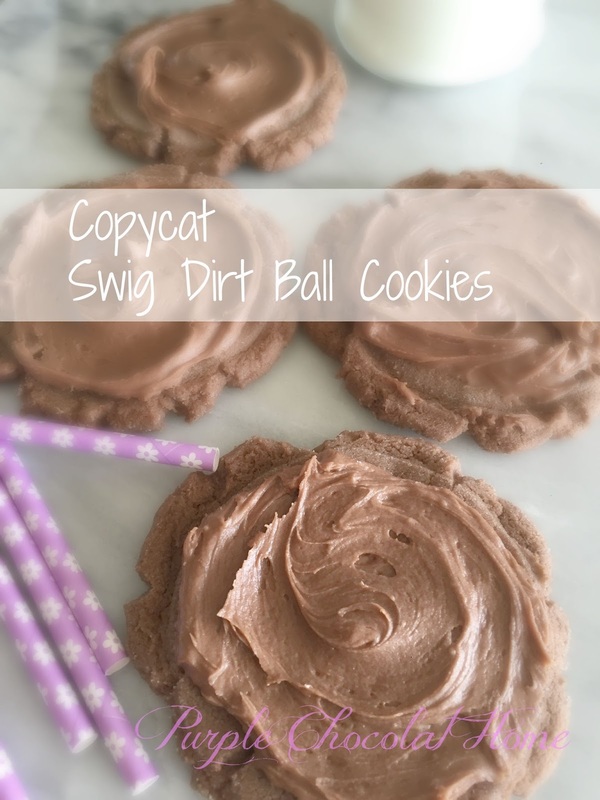 I love Swig cookies! Thank you for recreating this one. 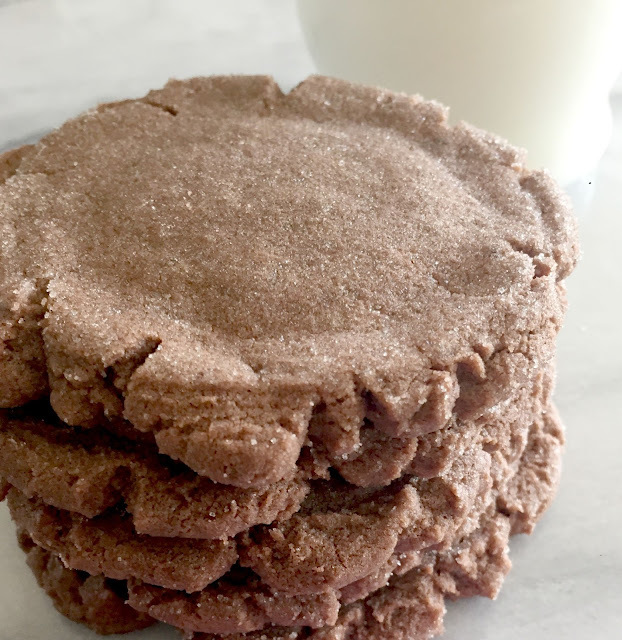 I'm adding this recipe to my "must make these soon " list! I've never had a Swig cookie Jacqueline, but I bet yours are better that the real thing! Sounds creamy dreamy good! I've never heard of Swig Cookies, either, but I sure would love to try one. I'm like you, Jacqueline, and love frosting on top! These are new to me, but somehow I know they are yummy. It's great you did the copycat recipe for all of us to enjoy! Happy Wednesday. 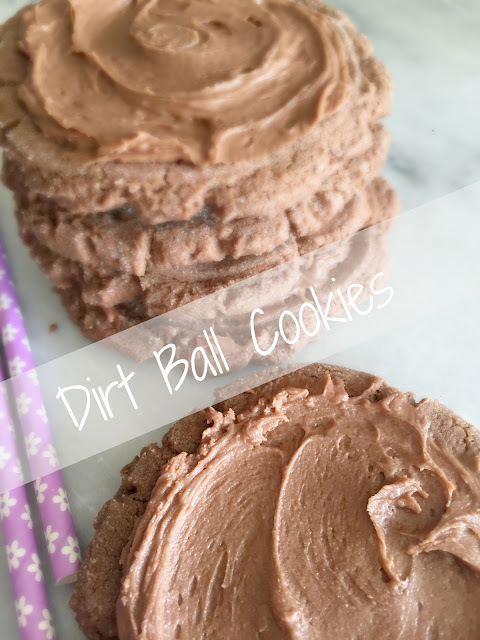 I love the dirtball cookies too, and these look absolutely amazing!! I am craving one now just from looking at your pictures. Will for sure be trying this recipe soon!! These are new to me also but I would love to try them.